To satisfy functional and aesthetic architectural requirements, in practice one often needs customized solutions, which are tailored to a project individually. 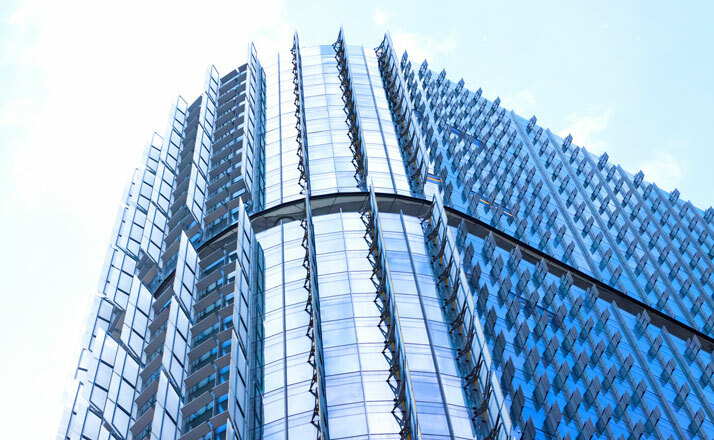 That is why façades are frequently one of a kind, with special requirements for climate control and shading systems or smoke and fire protection systems. 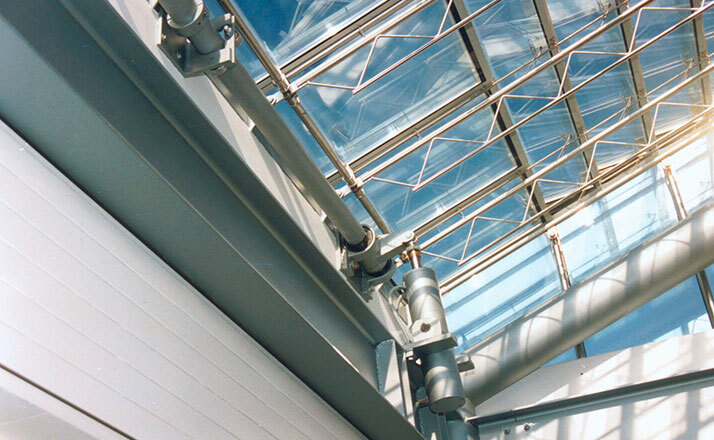 Smoke and fire protection systems are safety elements that are there not only to care for products, but more importantly to protect people from harm. That is why reliability, operating safety and (depending on accessibility) maintenance-free performance are vitally essential. Climate control and shading systems are to be automated to provide for a fresh air supply or heat regulation, or to prevent direct sunlight. If desired, entire segments can be controlled by a single drive. Frequently these drives are located in an immediately visible area to ensure direct accessibility. This means that it must be visually appealing. In general, drives that are installed outdoors must be resistant to dust, dirt, moisture and corrosion; moreover, they must operate reliably even in the freezing cold and blazing heat. Framo Morat has already furnished numerous façade projects with a wide variety of drive solutions, using both the standard line of drives as well as customer-specific solutions. Facades are constantly exposed to wind and weather. 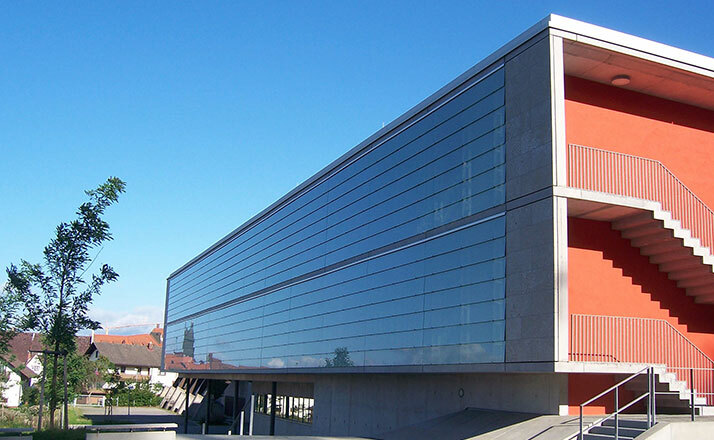 Drives for adjusting extensive façade elements and sunblinds must therefore be highly resistant and durable. Framo Morat offers rack and pinion drives with a very high enclosure rating for this application. Their components are exclusively made of corrosion-resistant materials. The drives are not just reliable – they also look good, and are thus suitable for use in architecturally demanding facades. 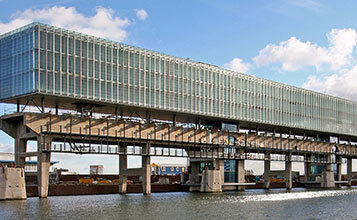 A total of 1,320 rack and pinion drives from Framo Morat are used to adjust the sunblinds of the award-winning, 270-meter-long “Kraanspoor” office building in Amsterdam’s port. A Compacta MS12 adjusts the sunshades on a façade. A set of rods and a toothed rack transfer force to each complete segment of the sunshade. The attractive appearance of the drive permits installation in visible locations, avoiding unnecessary outlay for paneling or cutouts in the façade. A Mini 01 linear actuator is used for air-conditioning in a building. Large glass surfaces are opened and closed automatically.